This is the first assignment. It was just supposed to be a layout for InDesign to get us familiar working with the new program. It needed text and images. The idea was to create a promo article promoting our work. 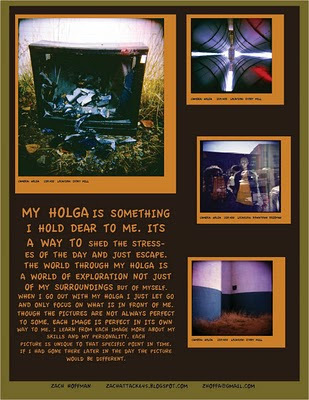 I decided to use my holga as the content.